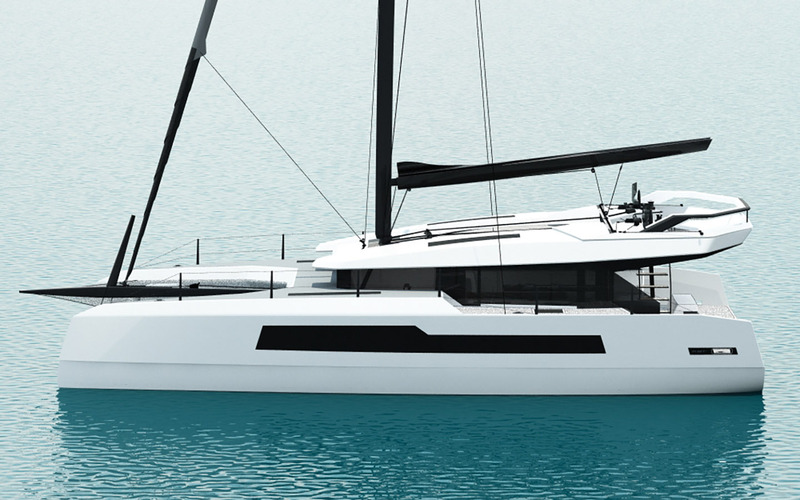 The MC50 is the first of a range of catamarans developed for McConaghy Boats. It is developed to create optimum balance of lifestyle, performance and comfort. Built largely from carbon fibre, the MC50 is the product of an exhaustive design and engineering process at our Winchester based design office. The large interior saloon space can become outdoor space, due to huge sliding side windows and bifold aft doors. 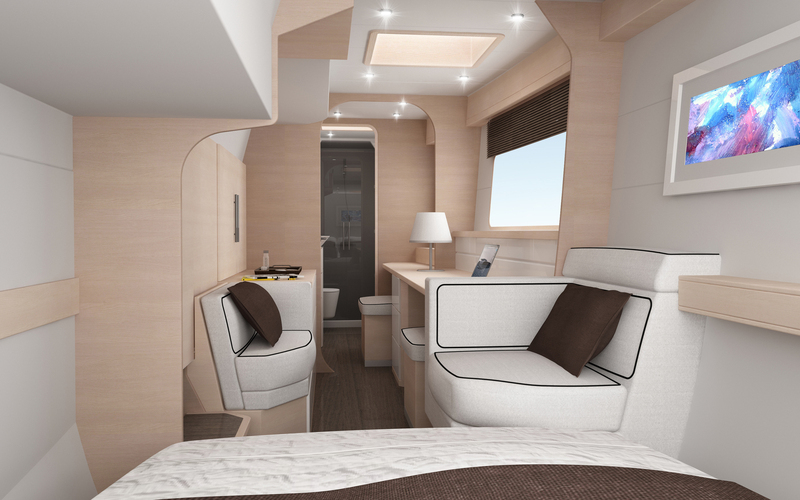 The sailing cockpit is entirely on the flybridge so does not obstruct the space and views of from the saloon. 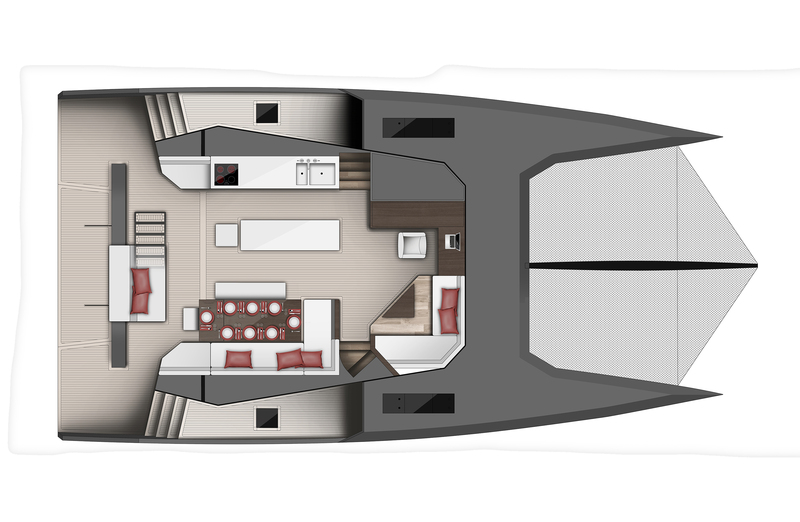 The flybridge is a space visually and socially connected to the interior, but with its own 360 degree views. Considerable weight has been saved through advanced engineering and use of carbon fibre composites, so the yacht can spend much more time sailing instead of motoring.